Snowy Byron climb: Canadian National train A446, led by CSXT AC4400CW 257 and CN SD75I 5699, climbs Byron hill in a light snow. 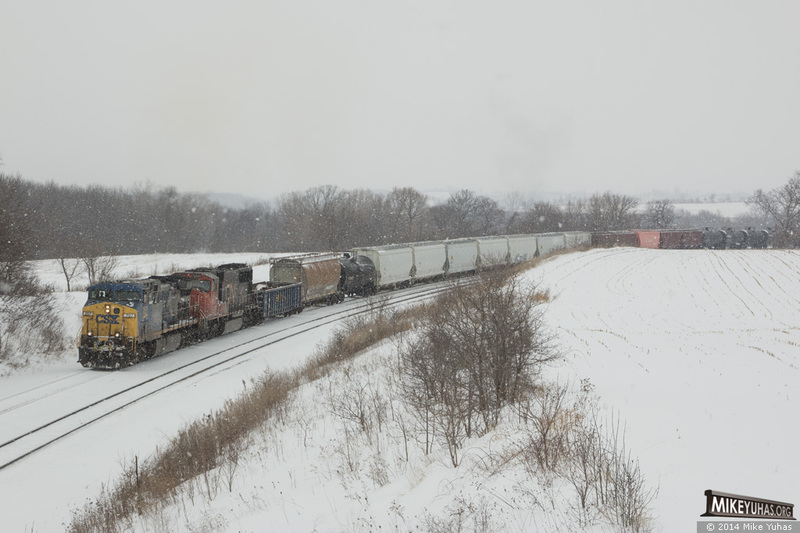 Train consists of 75 loads and 37 empties for 10,173 tons at 6496 feet. Helper IC 6203 is shoving on the rear.